We shared all the news and updates from the Star Wars Celebration. We checked out the one-day only Haunted Mansion specials at the Magic Kingdom. Check out the three Disney World discounts you need to know about. 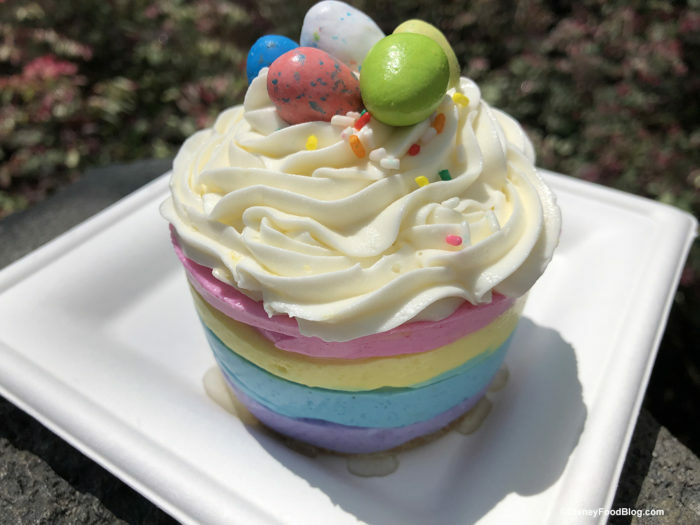 We reviewed the new Easter Bunny Cupcake at Disneyland. We reviewed lunch at The Plaza Restaurant in the Magic Kingdom. We checked out all the eats available with the Animal Kingdom Tasting Sampler. We spotted new Star Wars Loungefly backpacks. Check out this Finding Nemo tumbler at the Animal Kingdom. The title has been revealed for Star Wars: Episode IX. A “Beauty and the Beast”-inspired lounge is coming to the Grand Floridian. We spotted the Minnie Mouse Balloon popcorn bucket at the Magic Kingdom. There’s a new Mickey’s 90th Birthday travel mug at Disneyland. Check out the limited-time Dapper Day Cocktails at Disneyland. 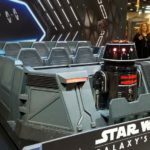 Disney shared a video tour of the Galaxy’s Edge booth at the Star Wars Celebration. We checked out what’s new in Epcot this week. Check out the 45 insanely Instragrammable eats at Disney World and Disneyland. We shared a first look at the Primark Cafe with Disney from the U.K. Check out the new Disney Ticket Center in Disney Springs. We shared a first look at the ride vehicle for Rise of the Resistance. See how you can get a free Dole Whip Froscato at Wine Bar George. 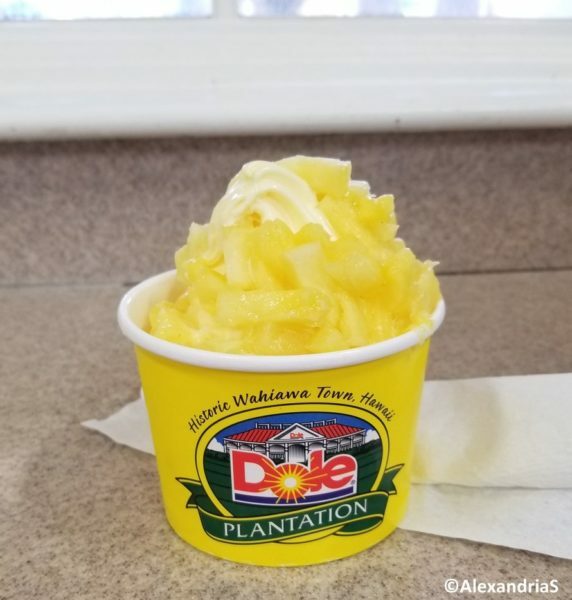 Check out our top 5 time-sensitive snacks at Disney World. We have details on the new Annual Passholder discounts in Disney Springs. We spotted a new must-have Spaceship Earth accessory in Epcot. We shared details on the 2020 Free Dining offer for residents of the U.K.! Check out the Annual Passholder exclusive merch at the Epcot Flower and Garden Festival. We reviewed the new Salted Pecan Triple Chocolate Chip Cookie at Epoct. See the details on the new Planet Based Cuisine Guide at the Magic Kingdom. We checked out what’s new at the Epcot-area resorts. We shared details on the new Joffrey’s location at the ESPN Wide World of Sports. 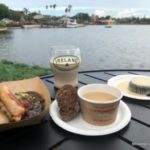 We found an unexpected springtime treat at Kringla Bakeri og Kafe in Epcot. We shared details on the new parking garage opening at Disney Springs. Check out the new Peanut Butter Tart we found in Epcot. We shared all the details on the new Epcot Forever nighttime show. We shared our Star Wars 101 – everything you need to know before going to Galaxy’s Edge. Check out the new gelato-filled donuts in Disney Springs. We shared details on the Disney World hotels you need to stay at for your first visit to Galaxy’s Edge. 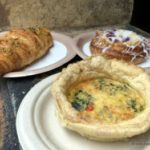 We reviewed lunch at Fairfax Fare in Hollywood Studios. Check out the newest springtime cupcake at the Boardwalk Bakery. We have the date for the last performance of IllumiNations: Reflections of Earth. We shared the details on a change to Disneyland’s MaxPass. Check out the fourth souvenir spork at Disneyland’s Tropical Hideaway. Mr. and Mrs. Easter Bunny are meeting guests at the Magic Kingdom. We shared a photo tour of the Easter Egg display at Disney’s Yacht Club Resort. Check out all the details for the Party for the Planet at Disney’s Animal Kingdom. We shared photos and more from the Easter Egg display at Disney’s Beach Club Resort. We have the new time for the Rise & Shine Brunch at Chef Art Smith’s Homecomin’. We visited Lightning McQueen’s Racing Academy again and have more details for you. Check out the temporary bar at Disney’s Grand Floridian. The Animal Kingdom Tasting Sampler is returning this spring and we have details. We reviewed the Briar Rose Gold Cake at Contempo Cafe. We shared more details about Ronto Roasters at Star Wars: Galaxy’s Edge. Check out the new Disney Parks Wishables plush toys. We shared details on the Easter Sunday offerings in Disney Springs. We reviewed the new Briar Rose Gold Tart at Disney’s Yacht Club. We shared the opening date for the 2019 Candlelight Processional. Tickets are on sale now for Mickey’s Very Merry Christmas Party. 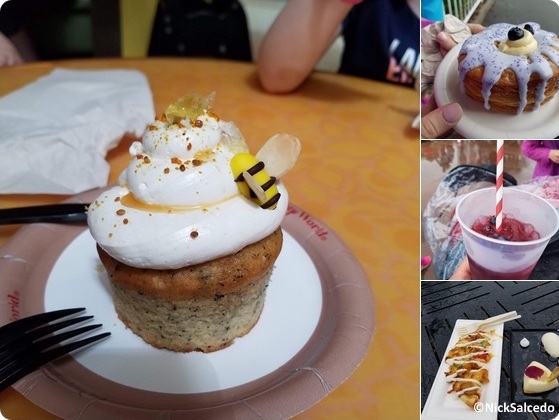 We shared the 2019 DFB Disney Cupcake Crawl. New DFB YouTube videos: Disney Perks That Only the Experts Get, 8 Bizarre Disney Rumors Busted, 9 Things I Never Thought I’d Say at Disney, and How to Avoid These 6 Disney Disasters. Have you subscribed to the DFB YouTube Channel? We’ve got FOUR brand new videos EVERY WEEK showcasing our adventures in Disney World and Disneyland! This week, we’re sharing our latest video — check it out — 9 Things I Never Thought I’d Say at Disney — and don’t forget to subscribe here. Looks like some good eats! 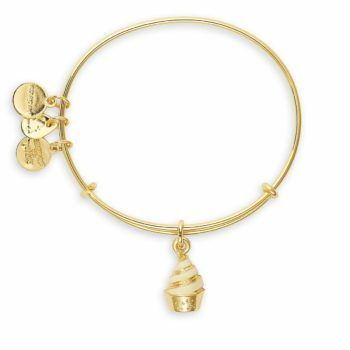 Mickey Fix shared this super fun Dole Whip Alex and Ani! WDW for Grownups shared five crazy cookies you’ve got to try on your next Disney World visit. Disney Parks Blog showcased Latin-inspired eats at the DCA Food and Wine Festival. Disney Family shared a recipe for a Rapunzel-inspired Smoothie Bowl.